The Roosevelt Hotel was built in 1892. This sign is probably from the 1920s or 1930s. The hotel has been converted into apartments. This photo is from 2010. 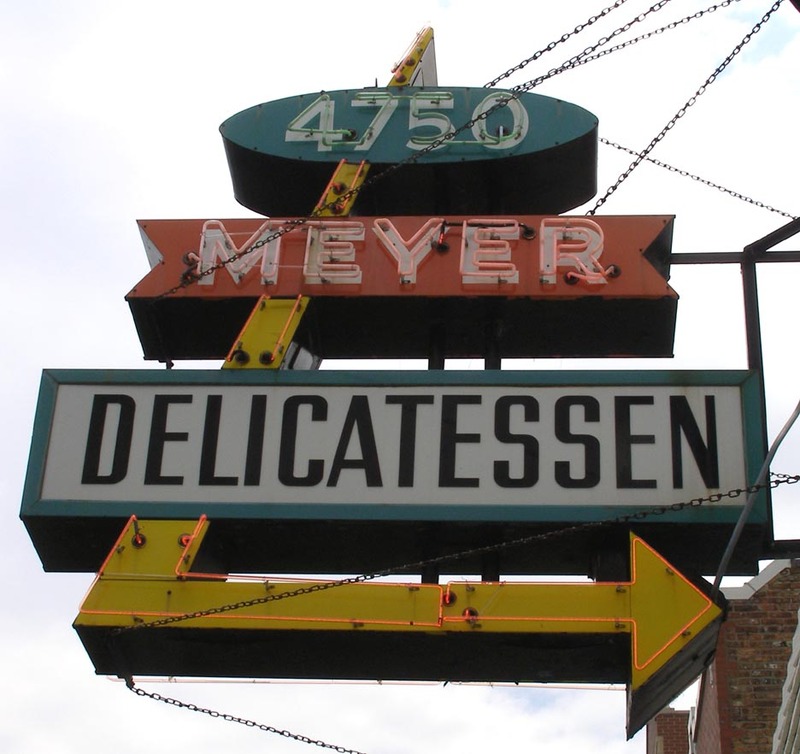 By 2011, this sign was gone. 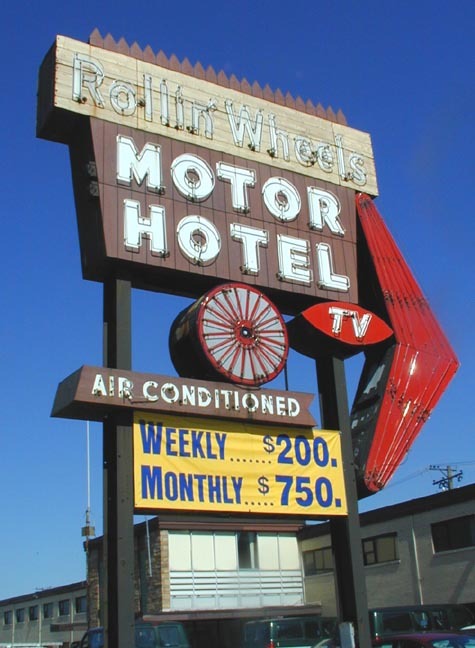 The Rollin' Wheels Motor Hotel sign was probably from the 1950s. This photos is from around 2001. 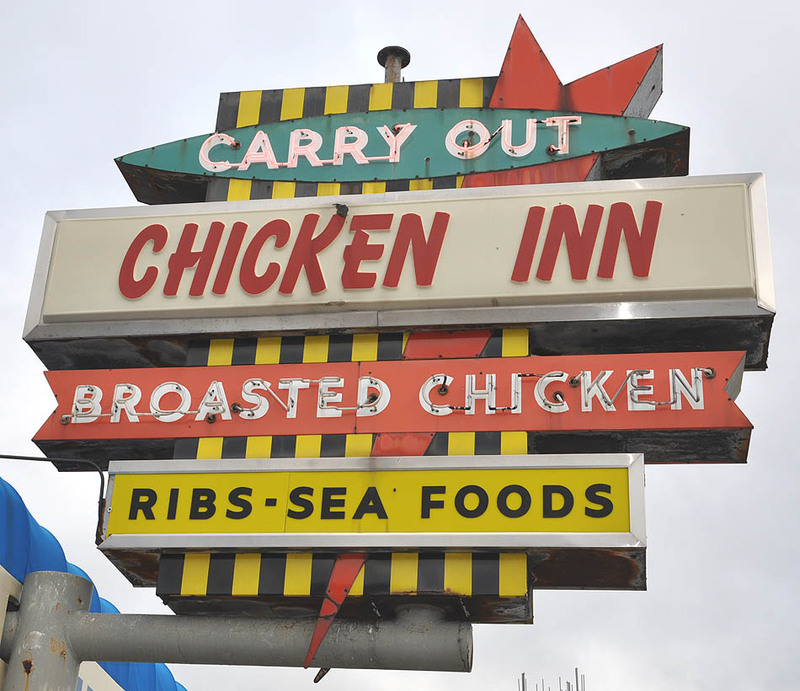 By 2010, the sign was gone and the motel had become a Rodeway Inn. For more, see this website. 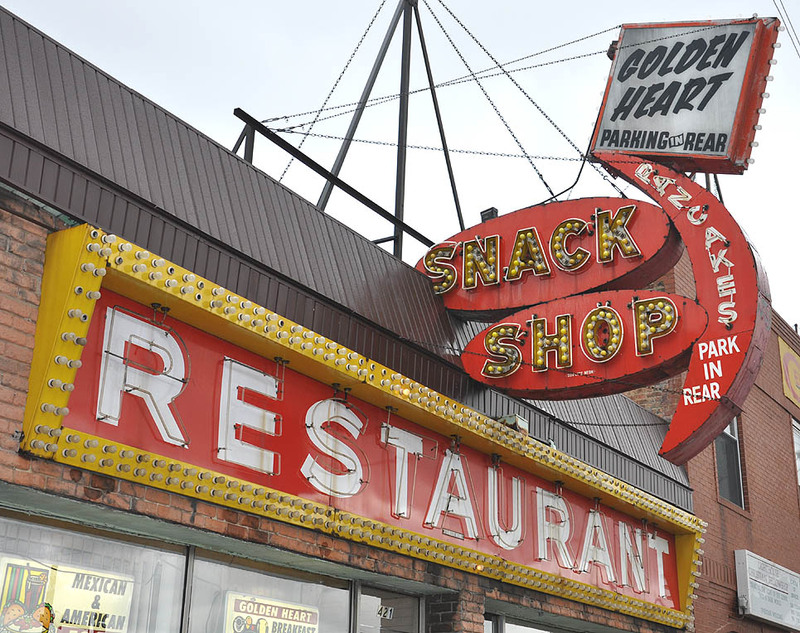 The Golden Heart Snack Shop sign was probably from the 1950s. This photo is from 2009. The sign was still there in 2015 but gone by 2016. 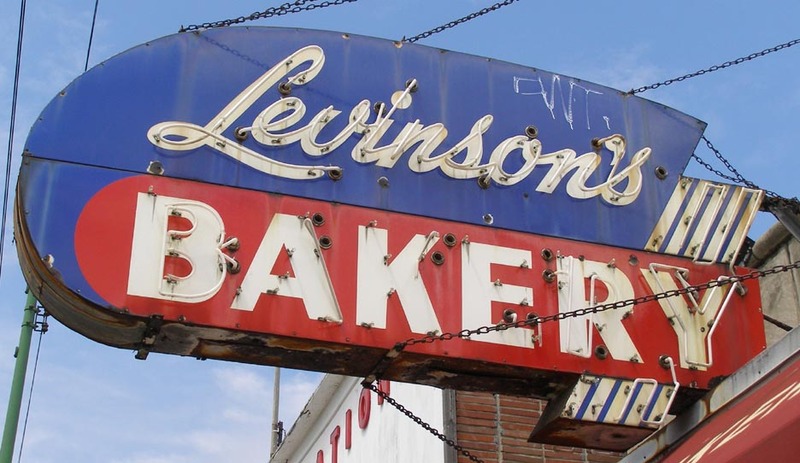 Levinson's Bakery has been here since at least the 1930s. The sign was probably from the 1950s. This photo is from 2006. The sign was still there in 2011 but it was gone by 2014. There are now backlit plastic letters on the building. 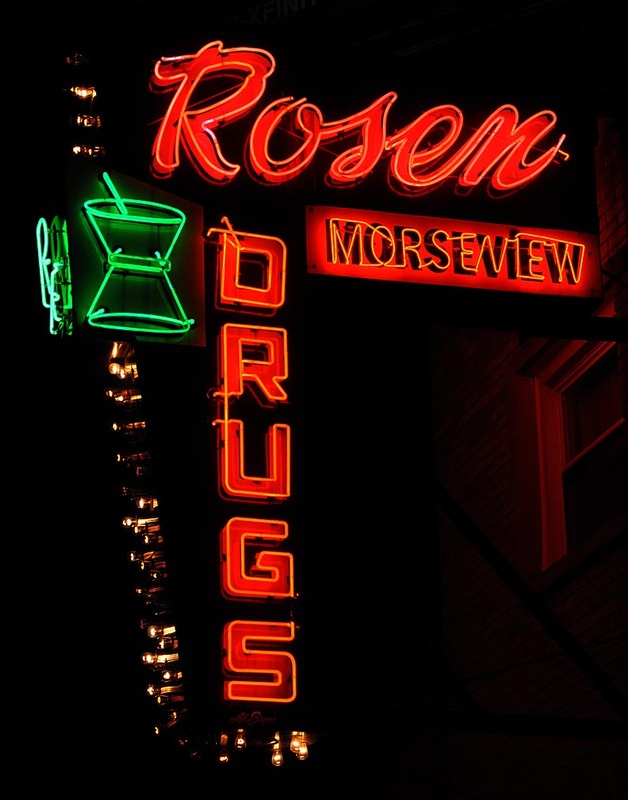 Rosen's Morseview Pharmacy opened in 1959 and this sign was probably from then. 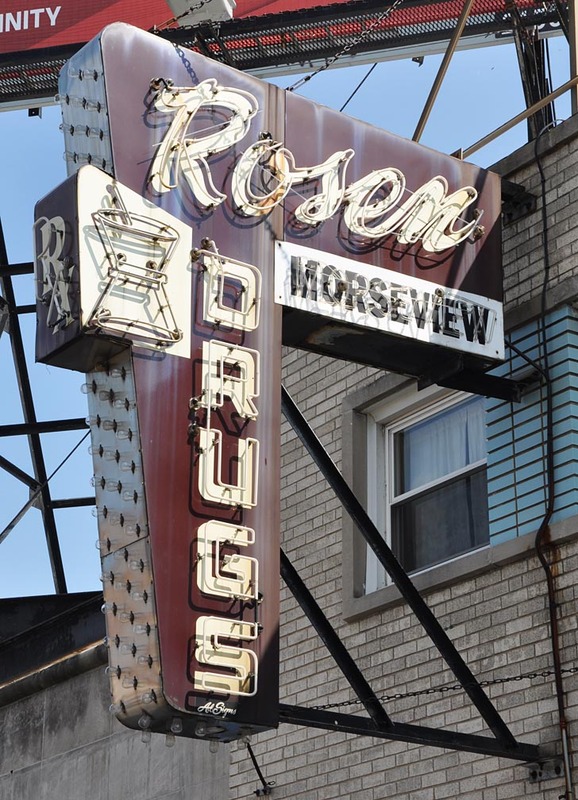 The name was derived from the store's location at the corner of Morse and Greenview Avenues. These photos are from 2012. The sign was still there in 2015 but gone by 2016. 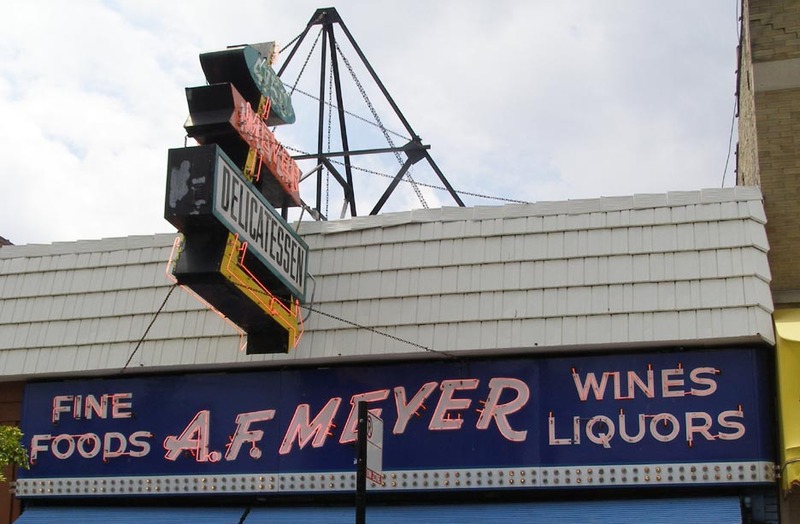 The Pappy's Cut Rate Liquors sign is probably from the 1950s. It was still in place in 2009. I believe the store was closed. 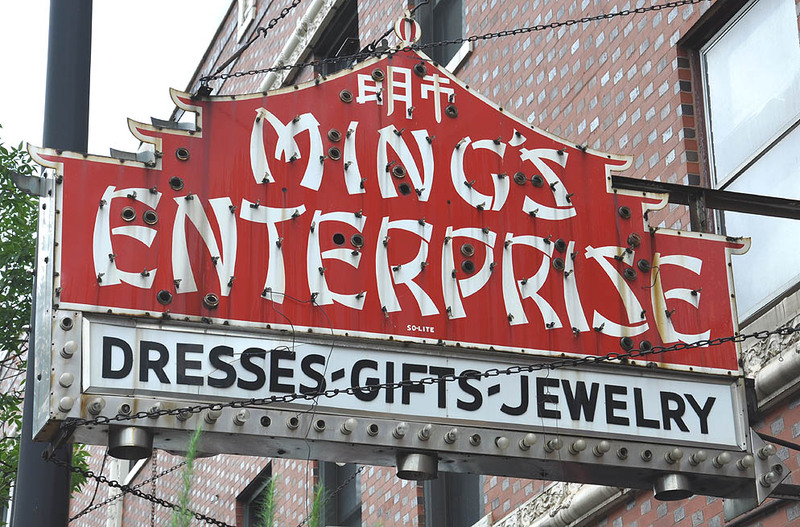 In 2012 when this photo was taken, the sign was for sale at Architectural Artifacts in Chicago. I believe it was sold at auction in 2013. For more, see these websites: 1 and 2. 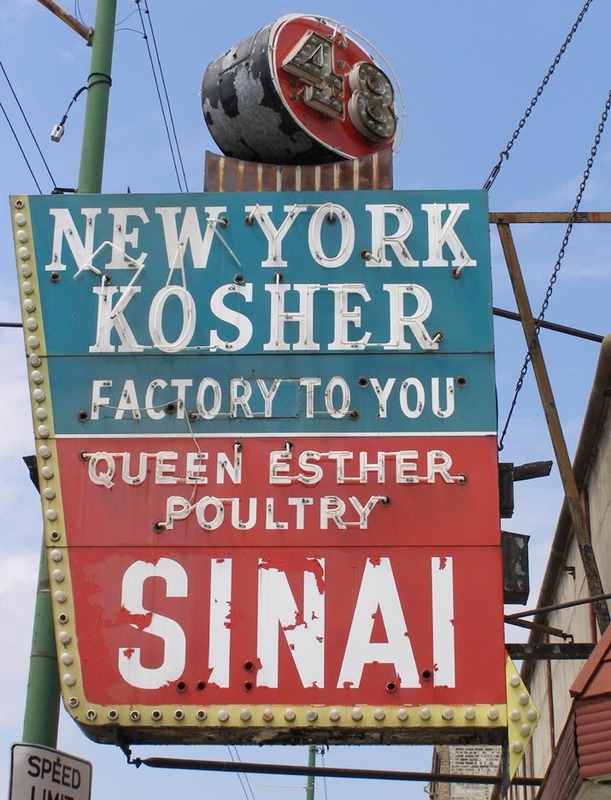 The Moshe's New York Kosher is still there but this sign was removed in 2011. The sign was probably from the 1950s. 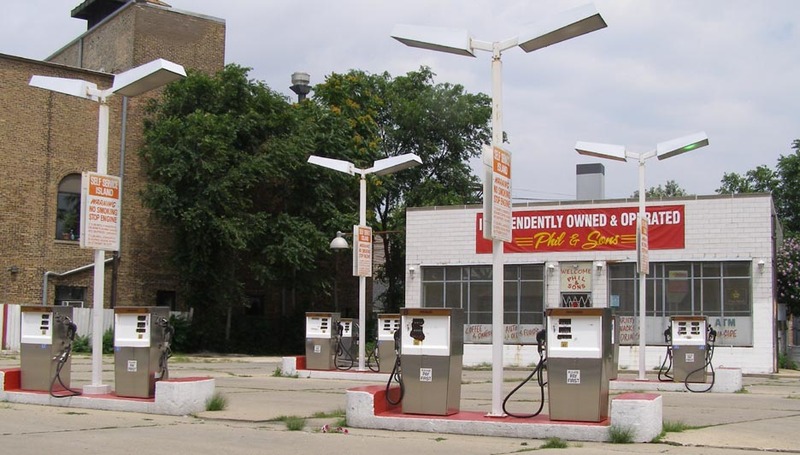 It was for sale in 2012 at Architectural Artifacts in Chicago (photo on the right). 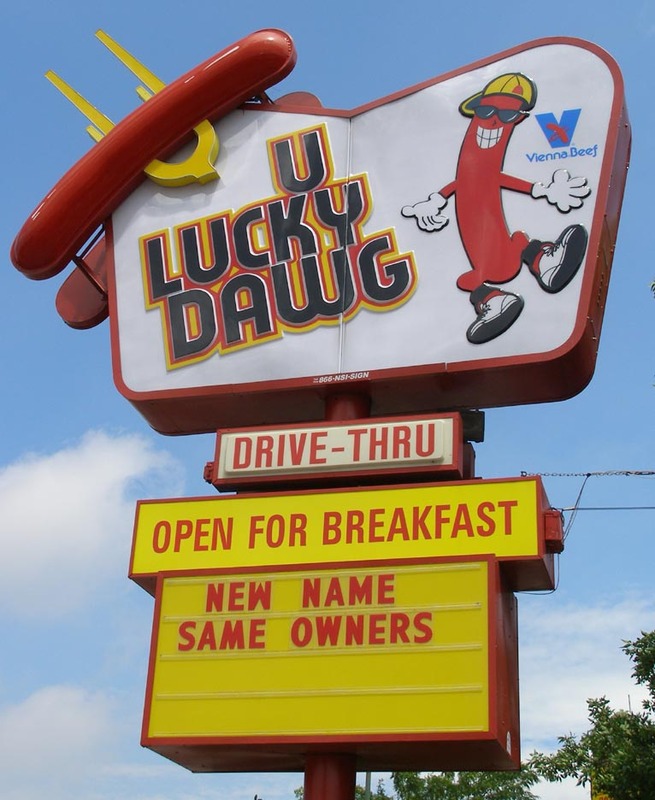 U Lucky Dawg was a Fluky's location until 2006. 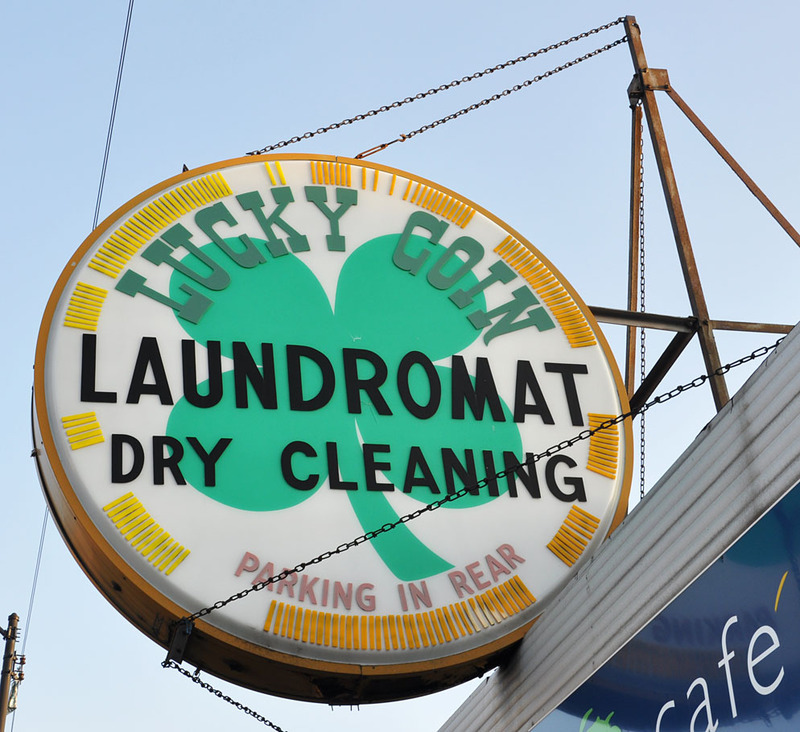 The Fluky's sign was adapted for the name change. Fluky's opened its first hot dog stand in 1929 and had two other locations. The sign was still there in 2011 but gone by 2014. 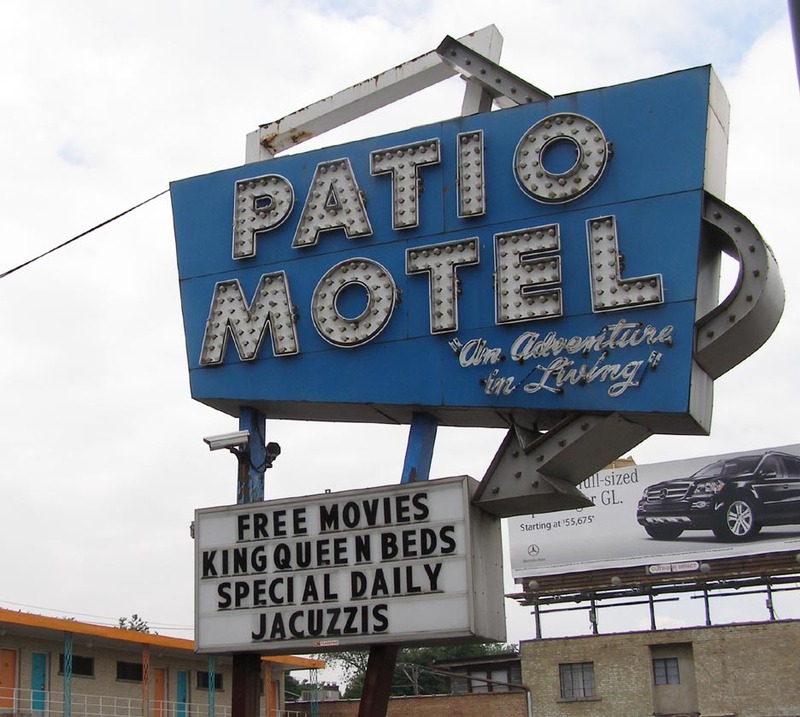 The Patio Motel was built around 1955 and this sign is from then. This photo is from 2006. The sign was removed in 2009. For more, see these websites: 1 and 2. 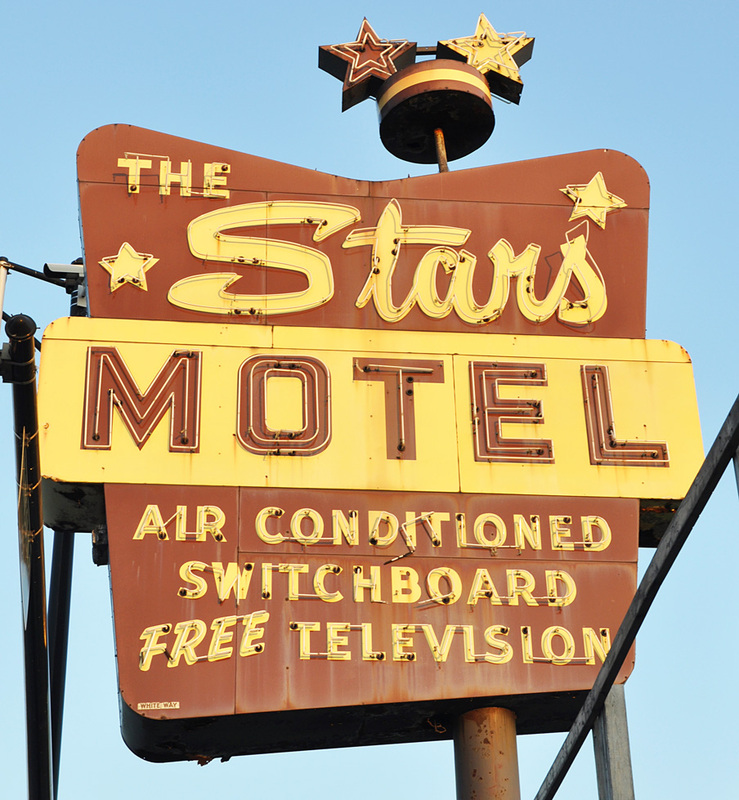 The Stars Motel was built in 1956 and this sign is from then. It was demolished in 2006. 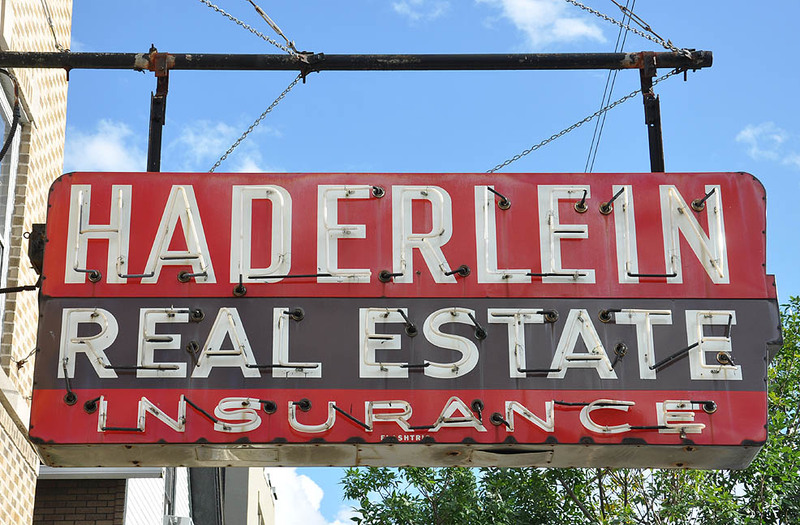 This sign was sold on eBay for $102 but the buyer backed out. The lot was still vacant and the sign remained until 2015. It is believed that the sign was destroyed. For more, see these websites: 1 and 2. 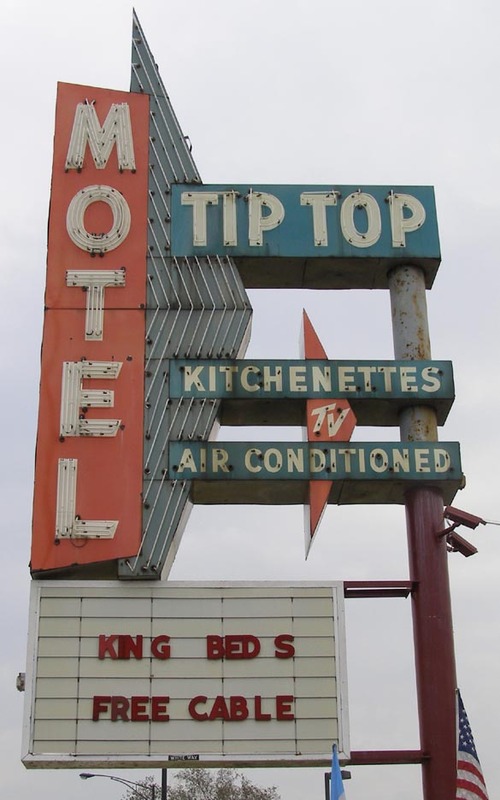 This Tip Top Motel opened in 1959. 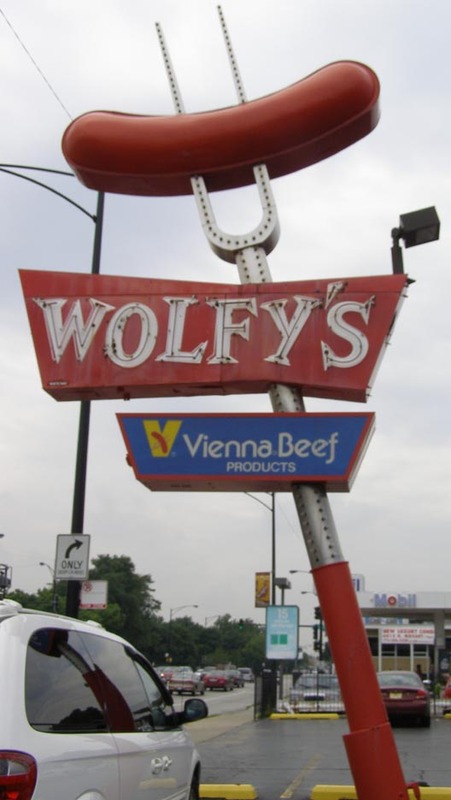 This sign was gone by 2009. The motel is now called the "River Park Motel" and has a plastic box sign. For more, see this website. 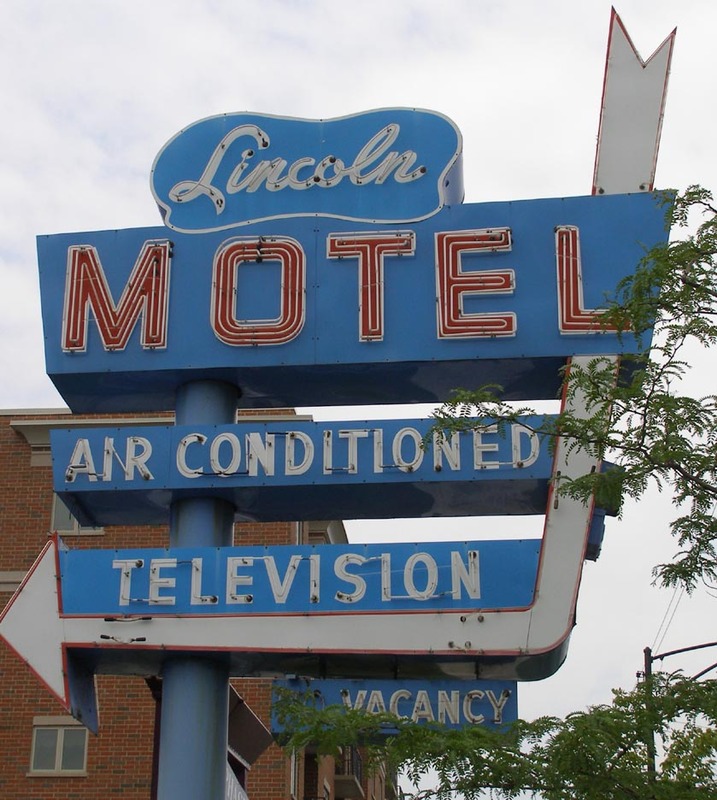 The Lincoln Motel opened in 1958. 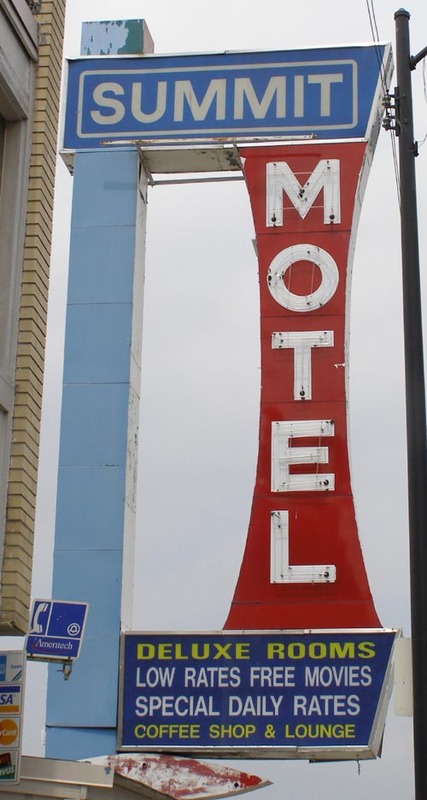 The motel was demolished in 2007 and the sign disappeared then. For more, see this website. This Summit Motel opened in 1962. It is still here but the sign has been replaced with a plastic box sign. For more, see this website. 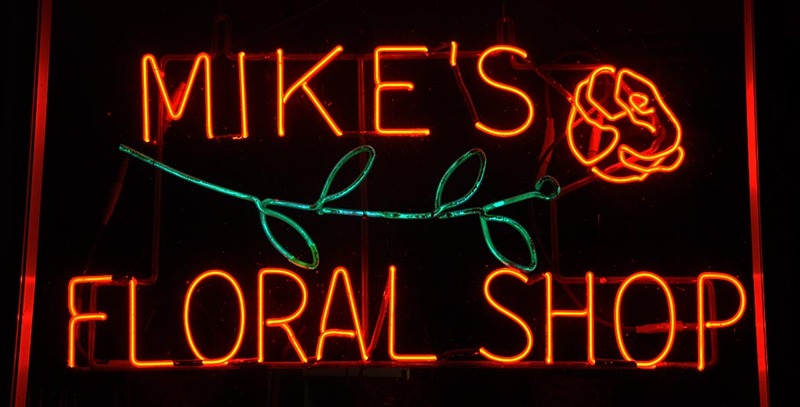 Mike's Floral Shop was also known as Mike's Flower Shop. This window "skeleton" sign appeared to be vintage. The store closed and this sign was gone by 2015. 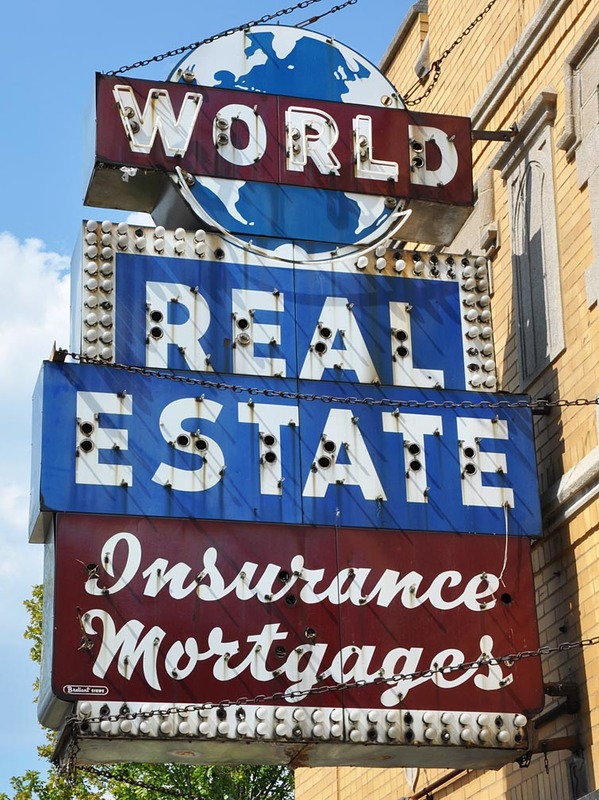 The World Real Estate business was long gone when this photo was taken in 2012. There was a law office below the sign. The sign was probably from the 1950s. The sign was removed in 2015. 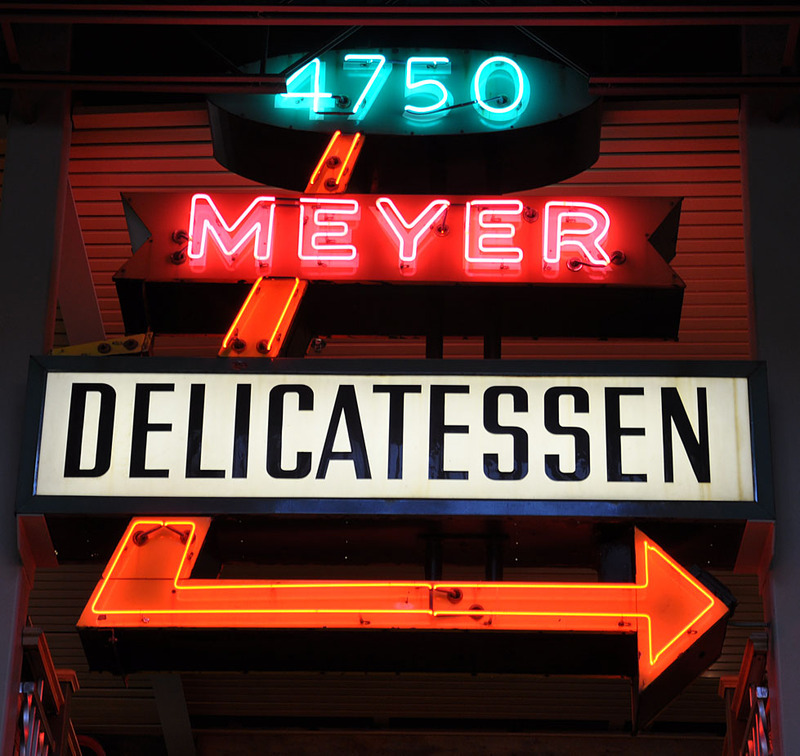 Hans' Delicatessen Meyer opened in the 1950s, specializing in German foods. The store closed in 2007. 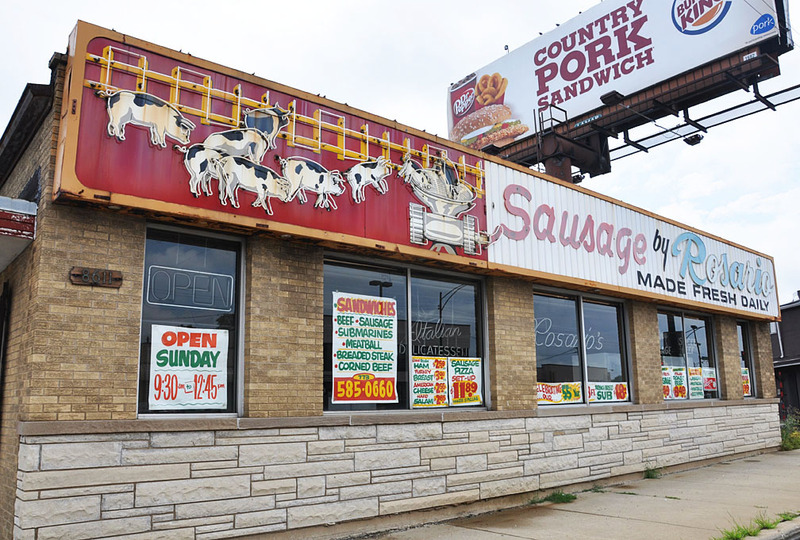 However, the sign was saved and is now displayed inside Gene's Sausage Shop which took over the space. 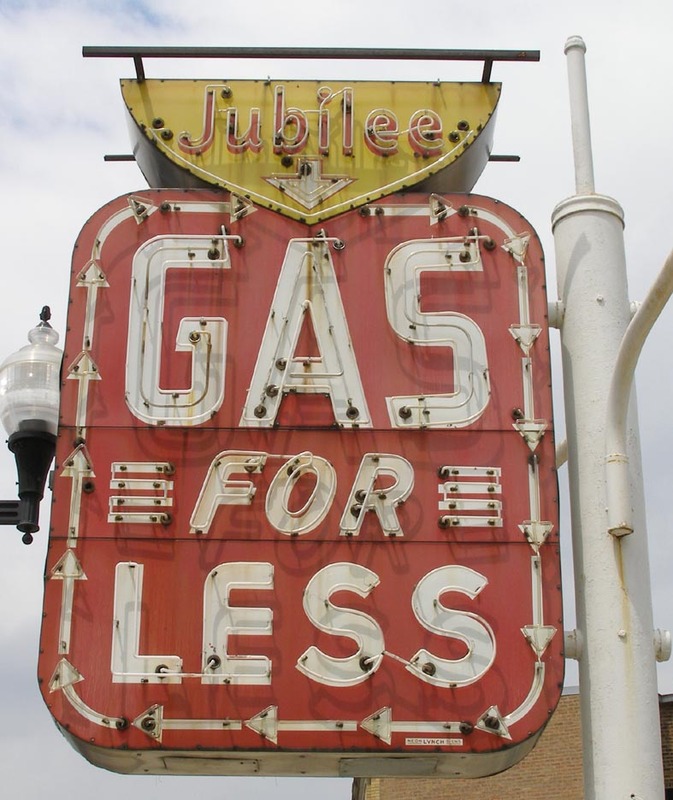 Jubilee Gas for Less was still pumping gas as Phil & Sons in 2005. They were closed in 2006 when these photos were taken. By 2013, the building had been demolished and the sign removed. For more, see this website. 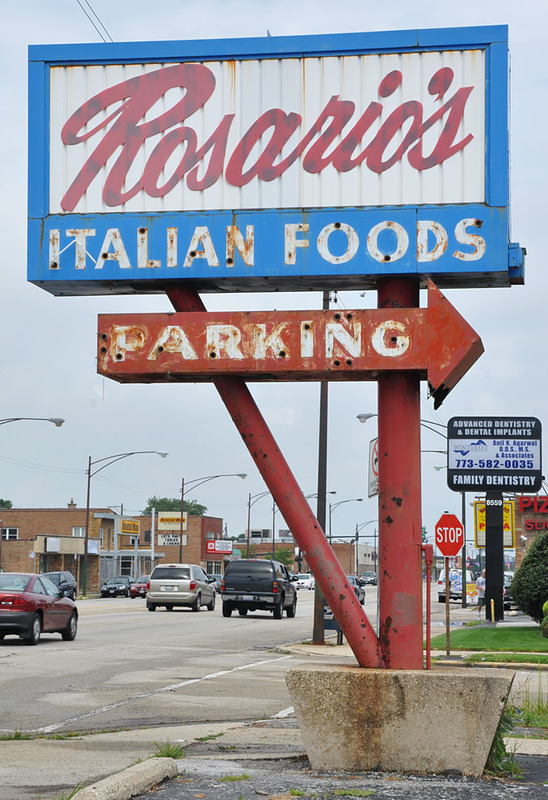 The Rosario's Italian Sausage sign was restored in 2009 after this photo was taken. 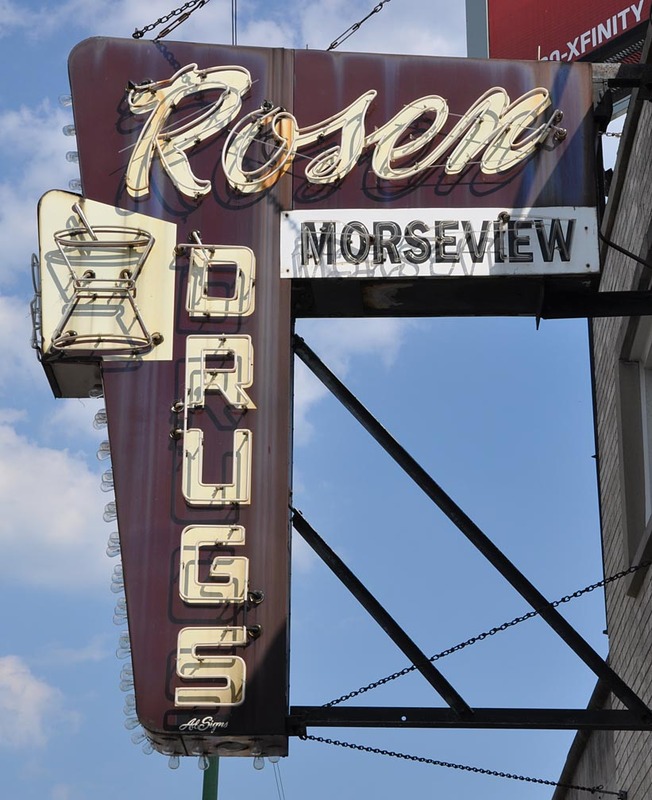 The sign was designed by the store's owner, Rosario "Roy" Repole. The sign was installed in 1968. It featured a gruesome yet cute depiction of pigs hopping into a meat grinder. Sausage came out of the grinder and continued with link-like lettering on the plastic portion of the sign. The nine neon pigs and the grinder were lit in a multiple sequence pattern. The sign was covered up in 1996 with a clear plastic panel to protect it from rock-throwing vandals. Despite that, the sign had been inoperable since at least the 1990s. The plastic had become translucent over time, nearly concealing the scene behind it. In 2009, the covering began to loosen and became dangerous. 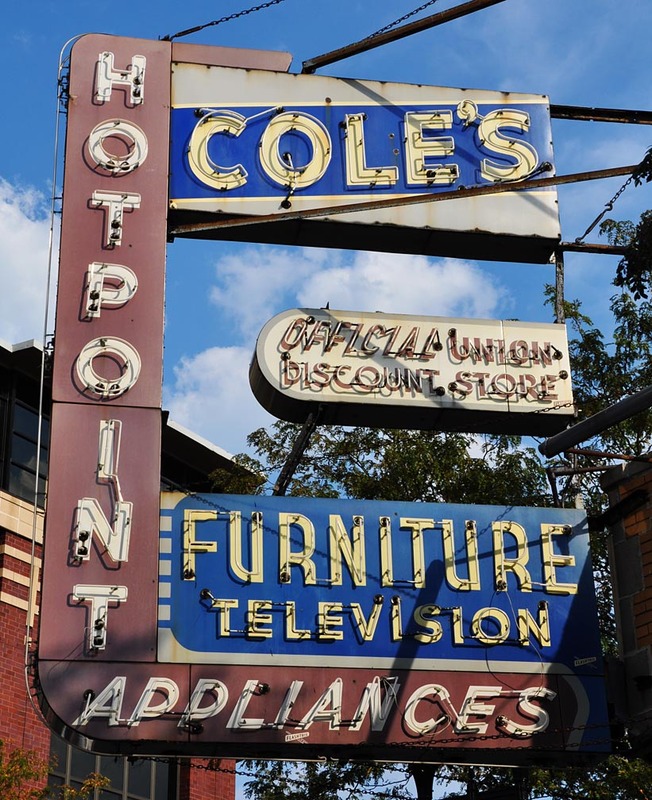 The owner's daughter decided to splurge and the sign was completely restored. 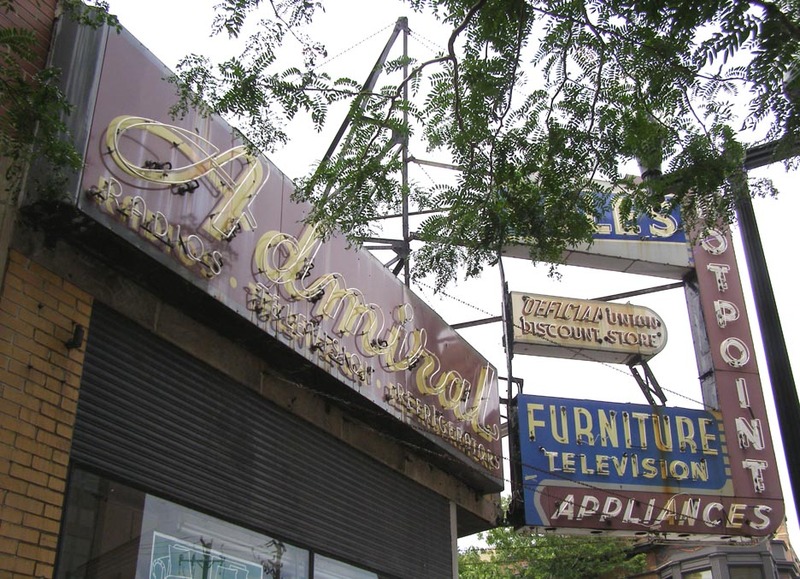 However, in 2011, it was announced that the business would be closing and the sign would be removed. The store officially closed in 2016. 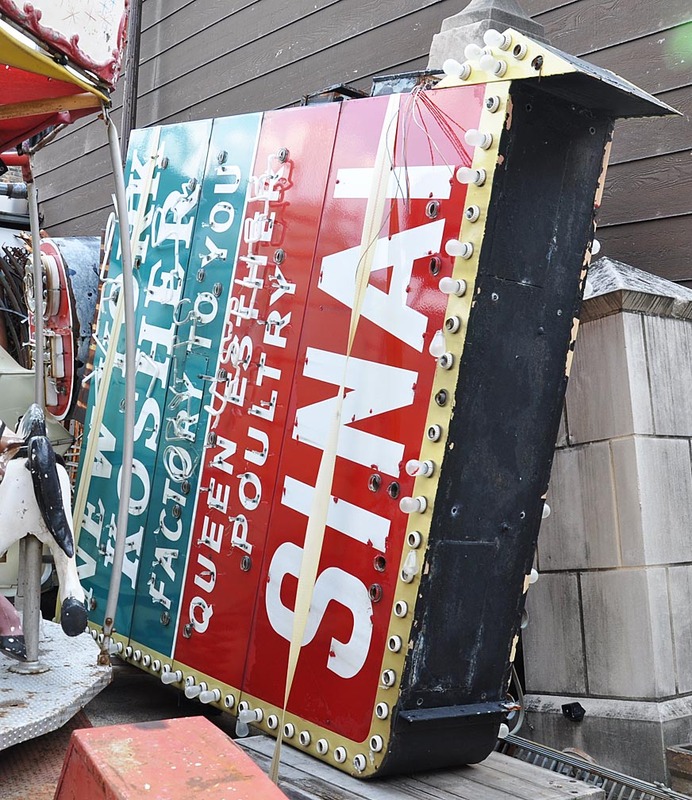 The sign will be saved but the owner had not decided what to do with it. She wanted the sign to be displayed where people could see it. The sign spanned the full width of the building. The neon panel is about ten feet wide. The sign was removed in 2019 and it's not known where it went. For more, see this website.